We think that Ibogaine treatment cost should be lower. While many Ibogaine treatment centers charge anywhere from 7,000 to 10,000 dollars, we find that this cost does not reflect the Ibogaine experience many addicts get. When it comes to choosing an Ibogaine clinic, you don’t always get what you pay for. A reasonable, medically supervised Ibogaine treatment cost is between 5,000 and 7,000 dollars. This takes into account all medical staff, resort-style accommodations, private room and board, and all medication costs (including the cost of Ibogaine). Anything lower than this, and the risks associated with Ibogaine become substantially higher. In almost every case, Ibogaine clinics that charge extremely low prices are putting patients in danger. They often have little to no experienced medical staff, inadequate medical equipment, or, in some cases, no medical staff or equipment at all. The medical aspect of Ibogaine treatment is the most important. However, there are also many other factors to consider when choosing the right Ibogaine treatment program for you. Let’s look at all of the factors that go into making an Ibogaine therapy program safe and successful, and exactly how to determine if an Ibogaine clinic is charging too much. Ibogaine is a heavy psychoactive drug extracted directly from the Iboga root bark found in Africa. It works by interrupting addiction on the physical level—by healing neurons and synapses in the brain—as well as targeting psychological trauma—often by putting the addict in a psychedelic “trip” where they are more accepting and able to deal with negative life experiences. But Ibogaine comes with its risks. It can cause heart or liver complications and, without a proper medical staff, these complications can go unnoticed and lead to more dramatic issues. Because of the intense nature of Ibogaine, having a medically centered Ibogaine treatment program is absolutely vital to patient safety. On the one hand, lower cost centers will not be able to afford an experienced medical staff or the advanced medical equipment necessary for keeping patients safe. However, many of these expensive treatment centers claim to have “safer” or “better” Ibogaine treatment programs based on things that do not matter. Some have outside, medical consultants that are not personally involved with the Ibogaine treatments themselves. Others claim in-house experts that have no actual medical expertise or education whatsoever. What Matters When Choosing an Ibogaine Treatment Center? The simple reality is this, Ibogaine treatment protocols were developed in the 90s by the top scientific minds from ICEERS and GITA—scientific foundations who pioneered Ibogaine treatment for addiction. This means that administering Ibogaine is often the easy part. 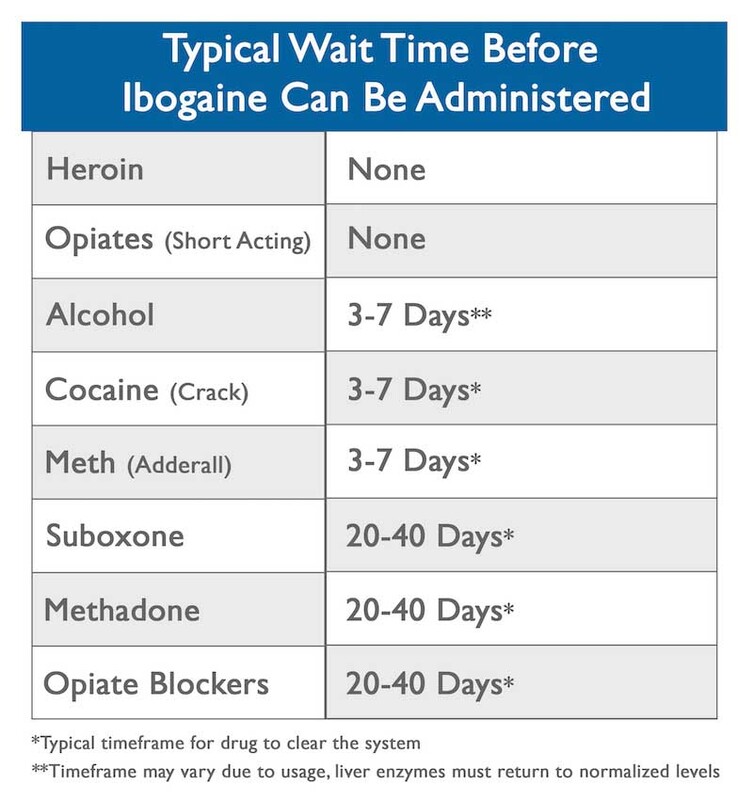 The ability for the clinic to accurately pre-screen applicants, as well as the experience of the medical staff in emergency training and response, are the most critical components to a successful Ibogaine treatment program. Be aware of any medical or non-medical consultant costs that do not offer anything in return. It is easy to pay an outside source to stamp their name on a clinic, it is much more difficult to find an expert medical team with experience in Ibogaine treatment. Any experienced Ibogaine clinic will follow a similar medical protocol. What matters is finding a clinic with a solid history and the experience to back it up. Having a seasoned medical staff and an expert medical emergency response doctor available during every Ibogaine treatment should be the priority of any clinic you consider. For many addicts, an upscale treatment program is a must, and, in countries like Mexico, a luxury experience can be very affordable. While some clinics may charge prices comparable to luxury accommodations in the US, these costs do not necessarily offer guests any additional benefit. Ibogaine is a strong psychedelic that typically lasts for 8-12 hours. After the experience, addicts normally spend a few days resting. The majority of your time at any Ibogaine clinic is spent getting through the Ibogaine detox process. During this period of time, it is important to feel comfortable and relaxed. Often, the most important aspects for recovery are detoxification amenities. A healthy diet, exercise options, a sauna, and a spa or hot tub can be a major benefit in helping the body flush toxins from the system and promote recuperation. These are amenities that can greatly improve and speed up overall recovery from the Ibogaine treatment process. 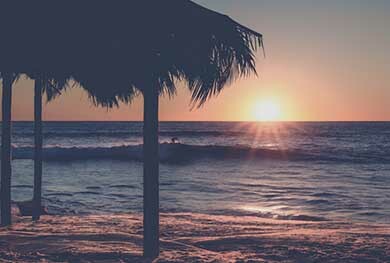 Being by the beach and having access to entertainment inside and outside of the clinic can also drastically improve the overall attitude of anyone going through Ibogaine treatment. 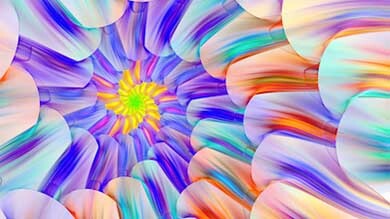 A clean room, privacy, healthy food options, and a friendly staff will contribute to the Ibogaine therapy experience. This is what makes a clinic a “luxury” clinic. Offering a safe, upscale environment should be expected, but offering amenities that help aid in the overall treatment process is what makes the biggest difference. Withdrawal symptoms are caused from the brain being addicted to a drug. When the drug is removed, the brain must heal. During this time, symptoms like cold sweats, hot sweats, and flu-like symptoms are normal and can be difficult to overcome. Ibogaine is effective at eliminating the majority of withdrawal symptoms. Drug cravings are different from withdrawal symptoms. Ibogaine will not eliminate cravings. It will not make an addict forget what its like to get high. It will not force an addict to change their behavior, find new social circles, or do any of the important things required for an overall successful recovery. The success rates from addiction treatment with Ibogaine is high, however, do not expect more from Ibogaine than it can offer—this only leads to disappointment. Any Ibogaine treatment center offering “guarantees” or promises that sound too good to be true often are. Ibogaine may not be familiar territory, but common sense can still be applied when looking for a treatment center. If it doesn’t feel right, go with your gut. You are probably right. 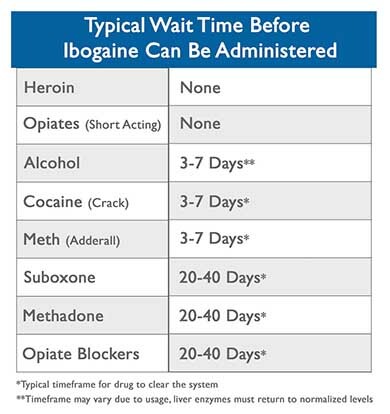 Some clinics claim that Ibogaine can treat Methadone or Suboxone addiction without getting off of these medications for an extended period of time. This is not* true. Methadone and Suboxone are opiate blockers. This means they bind and block opiate receptors. Ibogaine works on these receptors and helps them heal. When present, these drugs prevent Ibogaine from repairing and resetting damaged receptors. It can take 3-6 weeks, or even longer, for opiate blockers to leave the system—depending on factors like length of use. However, Ibogaine also works on other receptors. Many Methadone or Suboxone addicts will go through a psychedelic experience, they may even feel better for a week or two. However, once the effects of Ibogaine wear off, slowly but surely, the harsh withdrawal symptoms caused by Methadone or Suboxone use are sure to return. Some clinics claim that Ibogaine can treat diseases from A to Z. This is not true. Although Ibogaine can have an amazing effect on mental health issues, it cannot always treat them effectively. In some cases, when it comes to mental health, Ibogaine also has the ability to also make problems worse. Anything oversold is usually a play on desperation. Beware those who try to sell high priced Ibogaine treatment specifically for issues you may be desperate to address. 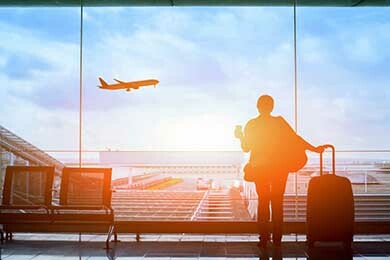 Many clinics offer free airfare for patients. This is often a marketing tool that clinics use to charge higher prices. What they actually offer you is free one-way airfare and they charge you from 2,000 to 5,000 USD more for it. The cost of that one-way plane ticket amounts to 200 to 500 dollars–hardly worth the cost. This is an Ibogaine treatment cost that is just unnecessary. Be careful not to spend extra money on Ibogaine treatment for reasons that don’t add up. Shamanistic Iboga retreats are not clinical and do not use Ibogaine. Iboga is different from Ibogaine. Iboga root bark (native to West Africa) is the raw plant medicine, and it contains a variety of alkaloids—one of which is Ibogaine. These retreats can be a great experience for non-addicts. However, most of these Iboga clinics or Shamanistic Iboga retreats will not take those who have been using heavy drugs such as heroin, meth, or cocaine. For those suffering with depression, PTSD, anxiety, or other types of ailments looking into an Iboga style option may be a better choice. Ibogaine treatment is different. If addiction treatment is the goal, then a medically centered Ibogaine clinic will be more effective, while reducing the risk of dangerous side effects from Iboga or Ibogaine. There are many factors that go into the overall cost of Ibogaine treatment. These will vary from one clinic to another. An experienced Ibogaine treatment center will offer a medically focused Ibogaine treatment program with comfortable, high-end facilities for addicts to spend their time in. By understanding exactly what an Ibogaine treatment center is offering, and the costs associated, you will have a better chance at finding a clinic that can offer value without cutting corners when it comes to safety. Consider the options. 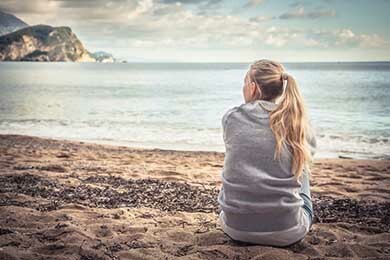 7-day treatment programs often offer a more effective approach, while also giving the addict plenty of time to recover. If you want a VIP experience, and you are willing to pay for it, many clinics have these options as well. Make sure you are getting what you pay for. Don’t pay more money for reasons that don’t matter to you—or worse, for treatment options that don’t matter or don’t work. Ibogaine is most effective for heroin and opiate addiction. However, those struggling with alcohol, methamphetamine, cocaine, or other addiction can also find success through Ibogaine therapy. 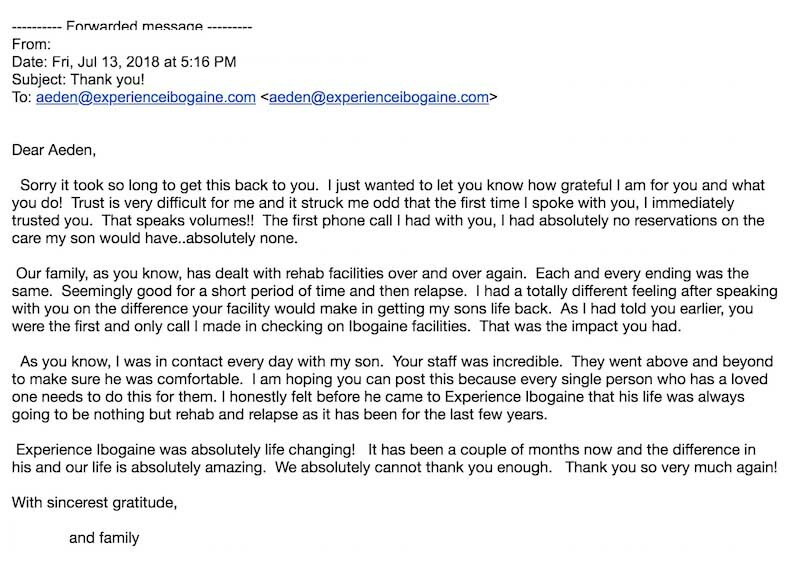 There is a reason that we here, at Experience Ibogaine, treat more addicts than any other Ibogaine clinic in the world. We want to be upfront about the cost of Ibogaine treatment. We want to make the Ibogaine experience an affordable option for treating addiction and withdrawal. 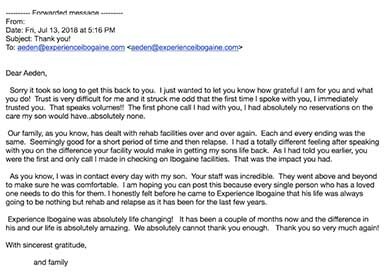 Everyone deserves a second chance get the help they need, and Ibogaine is a special medicine that should be respected and available for those who need its healing power.